There are 45 Assisted Living Facilities in the Northville area, with 5 in Northville and 40 nearby. The average cost of assisted living in Northville is $4,450 per month. This is higher than the national median of $3,346. Cheaper nearby regions include Novi with an average starting cost of $4,083. To help you with your search, browse the 283 reviews below for assisted living facilities in Northville. On average, consumers rate assisted living in Northville 3.9 out of 5 stars. Better rated regions include Plymouth with an average rating of 4.2 out of 5 stars. Caring.com has helped thousands of families find high-quality senior care. To speak with one of our Family Advisors about assisted living options and costs in Northville, call (855) 863-8283. Straddling Oakland and Wayne Counties about an hour northwest of Detroit, Northville is a quaint city of 6,000 residents, more than 18 percent of whom are 65 years or older. For residents of the city who need assisted living care, Northville is home to five facilities, while the surrounding area offers 45 additional choices. 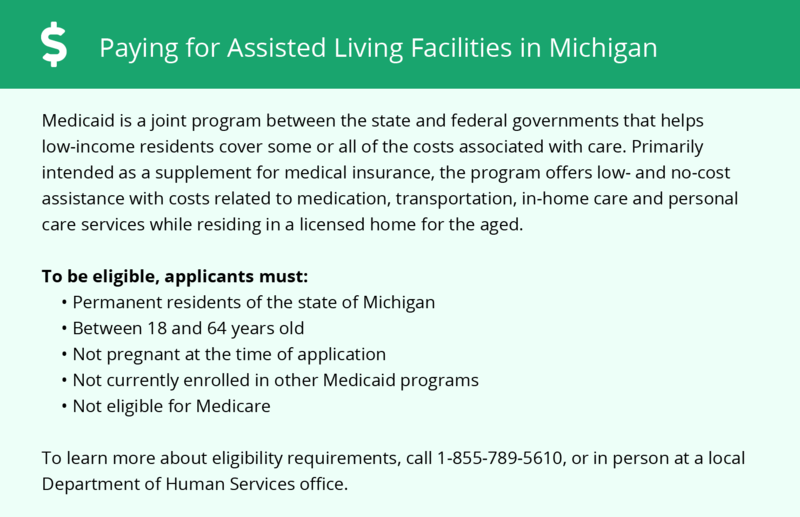 As is the case in all of Michigan, assisted living facilities in Northville are regulated by the Michigan Department of Human Services. When it comes to weather, the Detroit area, which includes Northville, is most known for frigid and snowy winters. But this stereotype ignores the fact that summers in the area tend to be extraordinarily pleasant, with plenty of sunshine and highs in the low 80s. Also, Northville experiences all four seasons, which is a perk for seniors who enjoy variety when it comes to weather. Northville is an upscale suburb with a cost of living more than 40 percent higher than the average U.S. city. However, the area's high housing costs account for much of the discrepancy. Many goods and services, such as health care and groceries, that are necessities for retirees actually cost much less than average in Northville. The air quality in Northville ranks as a 72 out of 100, with 100 being best. This is much cleaner than the national average of 58 out of 100, which is welcome news for seniors with asthma and other breathing difficulties. Safety-conscious seniors will be happy to know that Northville has very little crime. The city's violent and property crime rates are 8.2 and 21.1 out of 100, respectively, compared to the national averages of 22.7 and 35.4. Also, most assisted living facilities have an abundance of security measures in place, such as cameras, guards and locking doors. Michigan residents, including retirees who choose Northville as their home, pay no state income taxes on Social Security benefits, and they receive substantial deductions on other types of retirement income, such as 401(k)s and pensions. This favorable tax treatment leaves them more money to put toward quality health care. The Northville area is home to world-class medical facilities, including Northville Health Center, in the event of medical emergencies or illness. Assisted Living costs in Northville start around $4,450 per month on average, while the nationwide average cost of assisted living is $4,000 per month, according to the latest figures from Genworth’s Cost of Care Survey. It’s important to note that assisted living rates in Northville and the surrounding suburbs can vary widely based on factors such as location, the level of care needed, apartment size and the types of amenities offered at each community. 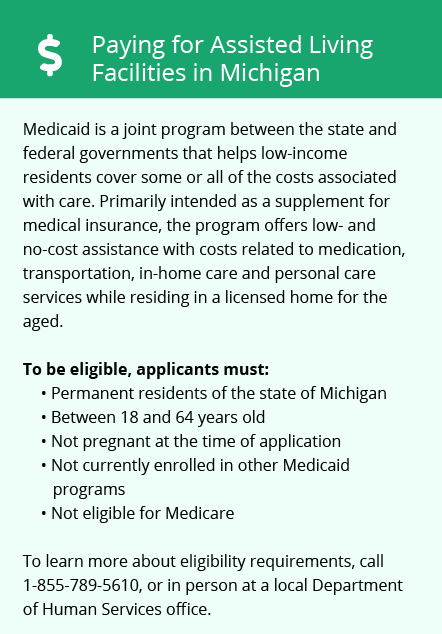 Michigan residents can receive financial assistance for assisted living through the Choice Waiver Program or Health Link programs. Northville and the surrounding area are home to numerous government agencies and non-profit organizations offering help for seniors searching for or currently residing in an assisted living community. These organizations can also provide assistance in a number of other eldercare services such as geriatric care management, elder law advice, estate planning, finding home care and health and wellness programs. To see a list of free assisted living resources in Northville, please visit our Assisted Living in Michigan page. Northville-area assisted living communities must adhere to the comprehensive set of state laws and regulations that all assisted living communities in Michigan are required to follow. Visit our Assisted Living in Michigan page for more information about these laws.